Google Now has been offering up relevant information for a long time — you can automatically get train schedules and delays, for example, if you’re near a station. 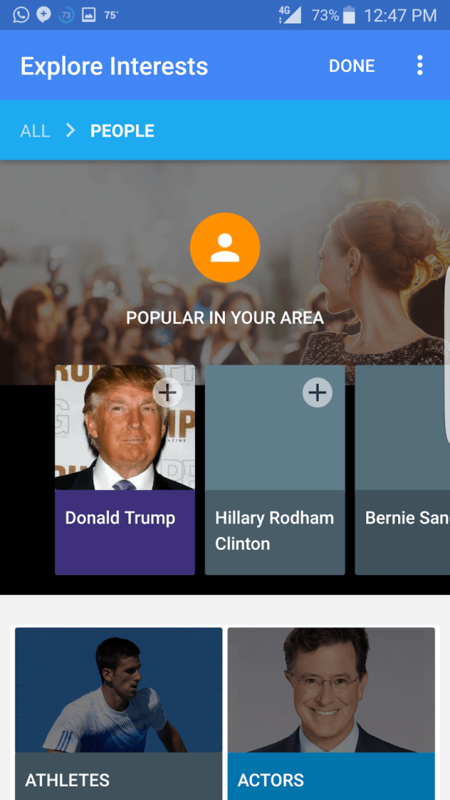 Contextual search is one of the service’s strengths, and the search giant is gearing up to let you customize Google Now to be even more relevant. 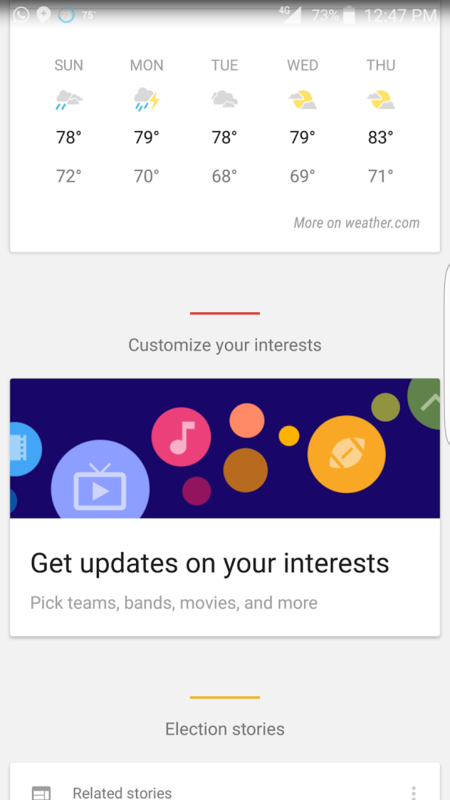 A source shared several screenshots of an upcoming feature with Android Police that lets you “get updates on your interests.” It appears in the form of a card in Google Now, and when you click it you’ll be able to explore interests from a wide range of categories such as sports, TV, movies, musicians, people, and stocks. Clicking on one of these categories takes you to a more detailed page that shows what people are interested in your area first. 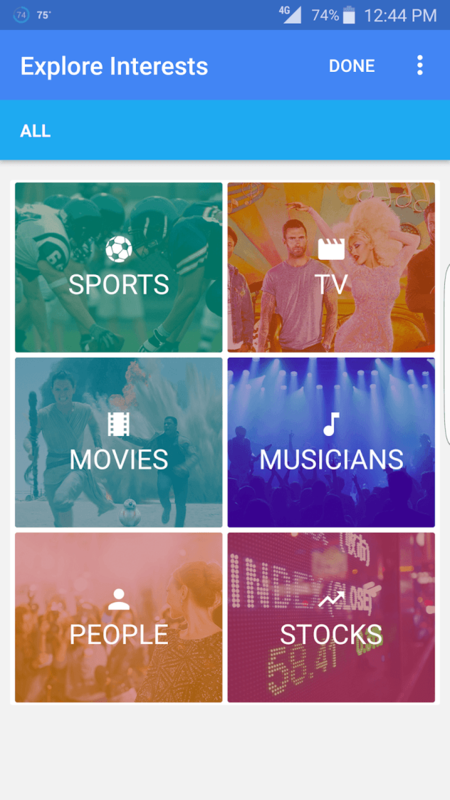 You can add those to Now, and search for more extensively. We assume these work as Now cards, offering you relevant information about the topic. 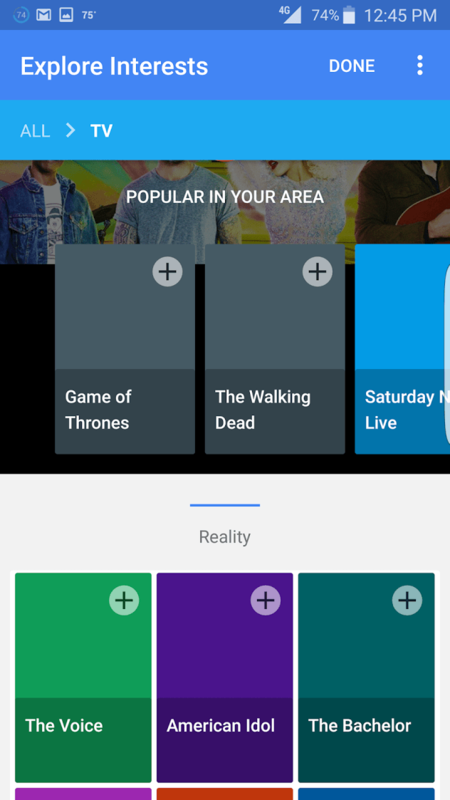 For example, if you select Game of Thrones, you’ll probably see a card for the time the HBO series is airing, and perhaps an option to Cast it to your Chromecast if it detects one. Or perhaps it will offer up new articles and information about the show. It’s unclear how frequent these updates will be, and whether they’ll be available on iOS as well. Still, it’s neat that you can get more control over what you want to track. We haven’t seen the update yet but it’s likely a gradual rollout, as is the case for most Google updates. We have reached out to Google to confirm.